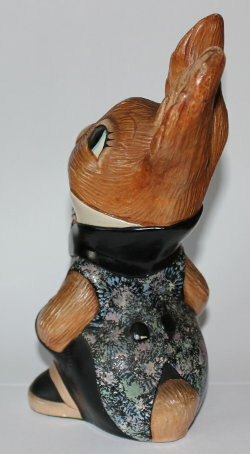 Early PenDelfin rabbit Uncle Soames designed by Jean Walmsley Heap. 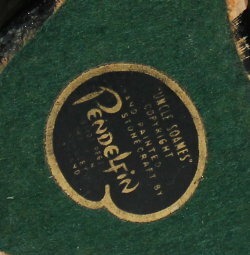 The PenDelfin Uncle Soames was produced by the PenDelfin Studios from c1959 until 1985. Uncle Soames is a lovely large PenDelfin rabbit. 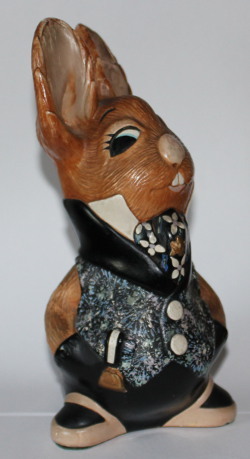 This earlier example has elongated ears and is wearing a very decorative waistcoat and matching cravat with black trousers. 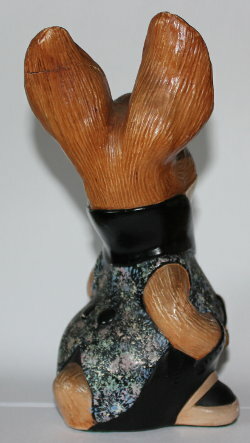 On his base this PenDelfin rabbit has his green felt and PenDelfin artist palette Uncle Soames label. Condition: Good overall display condition. His ear has been broken and glued at some point. 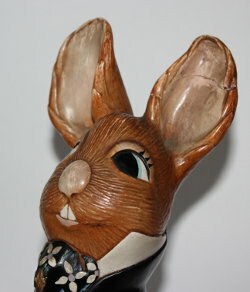 He displays well and is a lovely old PenDelfin rabbit.